The pendants are made of natural stone. 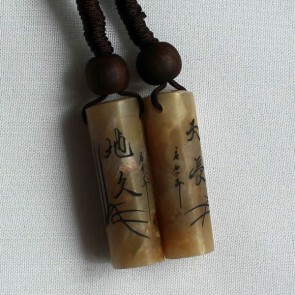 Hand-carved on the pendants are various Chinese symbols. The pendants are great examples of the traditional Chinese art - Miniature Engraving, as some of the Chinese symbols are tiny.